Living in Texas we don’t often get to play in the snow. The Bear knows what it is, but we haven’t had any yet this year. We decided to take matters in to our own hands and make sparkly snow dough to play with inside (and make our own tiny snowman). Because the Pearl Girl is still at the stage where she puts EVERYTHING in to her mouth (as you can see above), I knew I had to make taste safe snow dough. 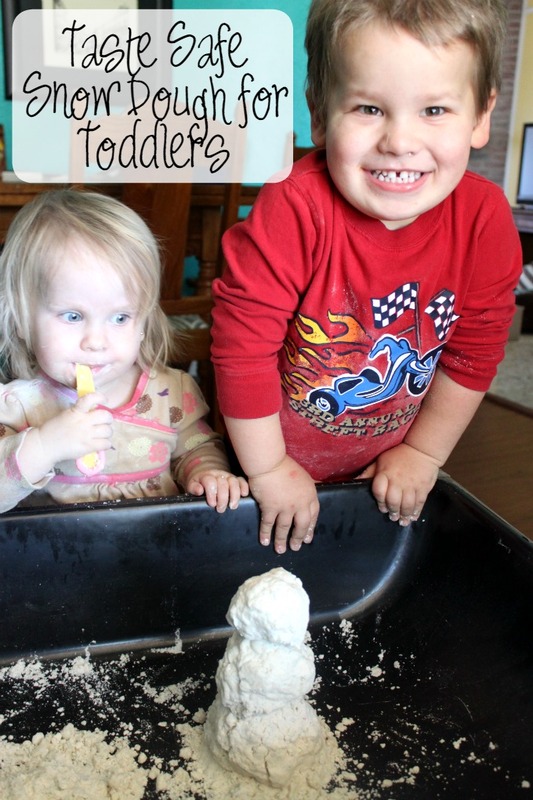 Read on to find out how to make your own, plus find fabulous snow dough ideas from the other 12 Months of Sensory Dough bloggers. 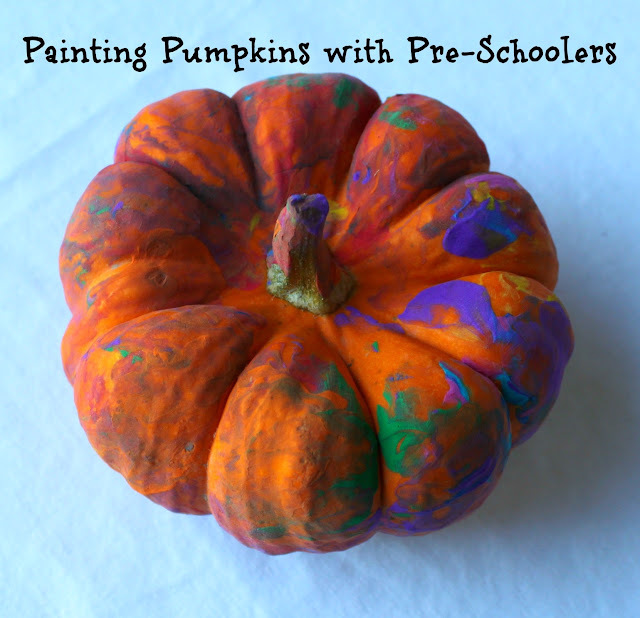 Find more of our indoor play ideas here and preschool posts here. For more snowy fun check out my Indoor Snowman Building Ideas here. 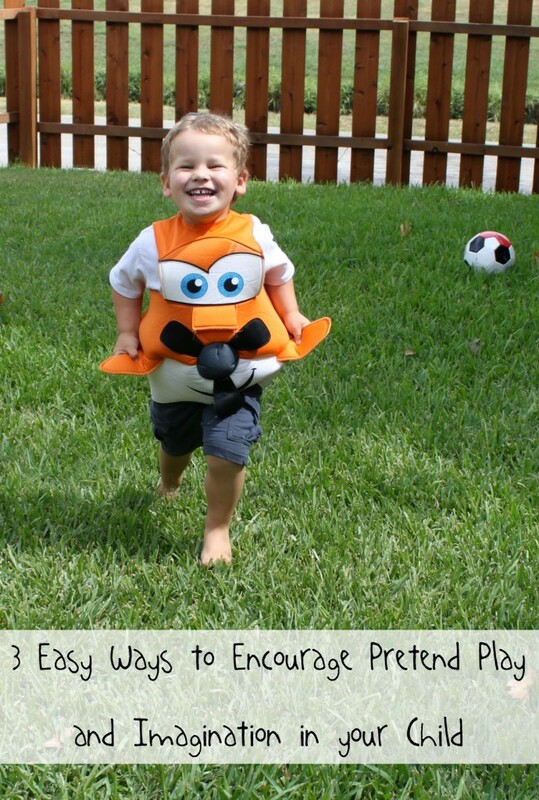 Pretend play is incredibly important for child development. In preschool children it helps them develop their thinking, emotional, social, and language skills. Today I’m sharing three easy ways to encourage pretend play and imaginative play in your children. Every time we tell friends about our family travel plans with two kids under three, they look at us like we are crazy. We may very well be, but we love to travel and are almost done with our first adventure of the summer and preparing for our next one. 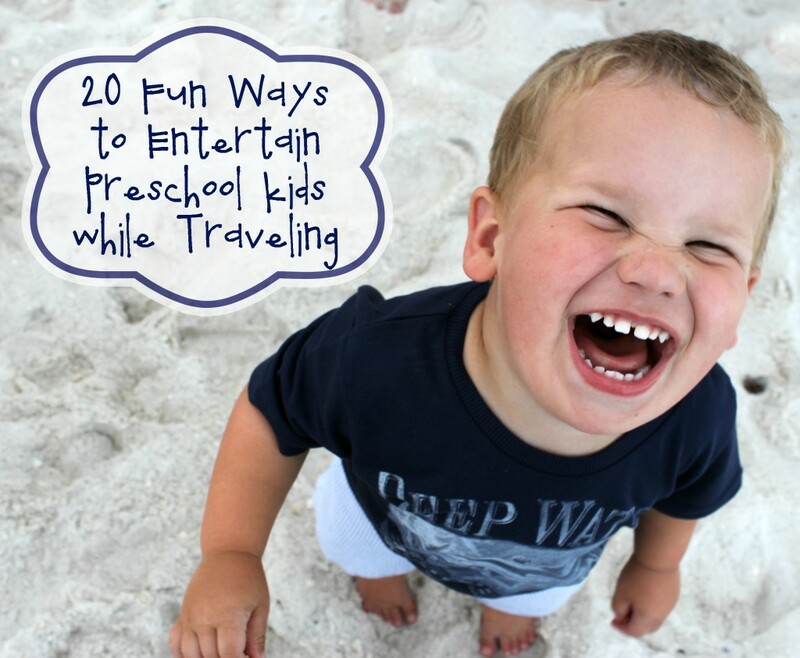 Today I’m sharing 20 tips for entertaining preschool kids while traveling, and I hope they will be as useful to you as they have been to us. 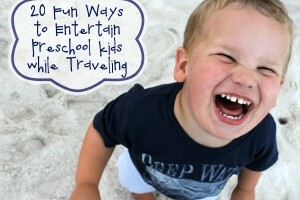 We love to travel and to take our kids along, so keeping them entertained is a must for our sanity. We’ve been living and working at Camp Buckner, a beautiful camp in the Texas Hill Country for the last 2 1/2 weeks serving with Young Life. Traveling to and living at camp is challenging, but we are using it as a test run for our big 4 week road trip coming up later this summer. In July we will head out to Arkansas, Tennessee, North Carolina, South Carolina, Georgia, Florida, and Louisiana. Be sure to follow us on Instagram and Facebook so you don’t miss our adventures. 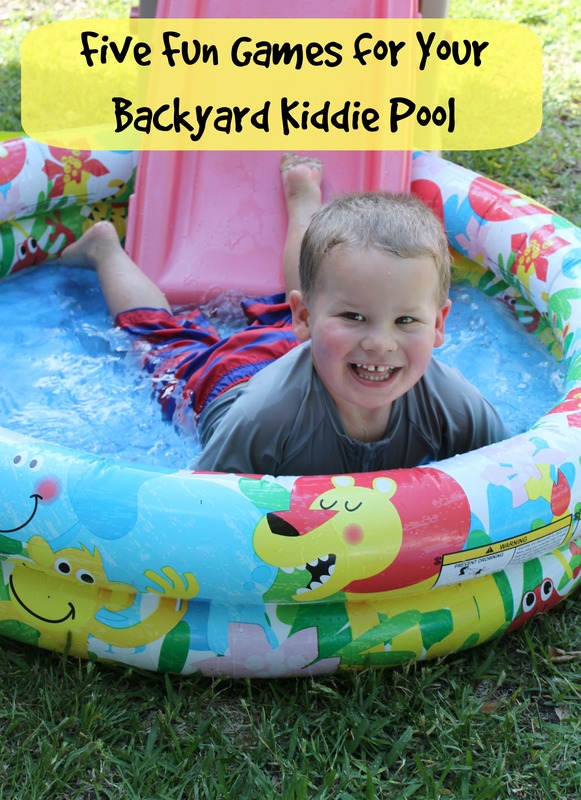 To kick off the summer I’m celebrating Backyard Games Week with a group of fabulous bloggers and sharing our ideas for playing fun games outside with your kids. We love to spend time outside playing our yard, and as soon as it is warm enough we break out two little inflatable kiddie pools . Most of the time the kids splash around and create their own fun, but occasionally I add a game in to the mix to keep them entertained longer. Mama needs time to drink her coffee, right? All of my game ideas are simple and geared towards the 0-3 crowd. 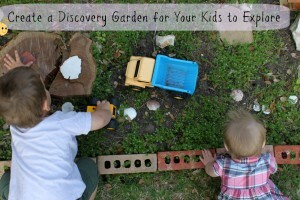 My kids love to explore and play in our yard. We’ve been hard at work on our massive yard project trying to get our yard to look better and be more functional. On a whim I decided to dedicate a space for the kids so they could dig in the dirt and play without destroying any of our new plants. 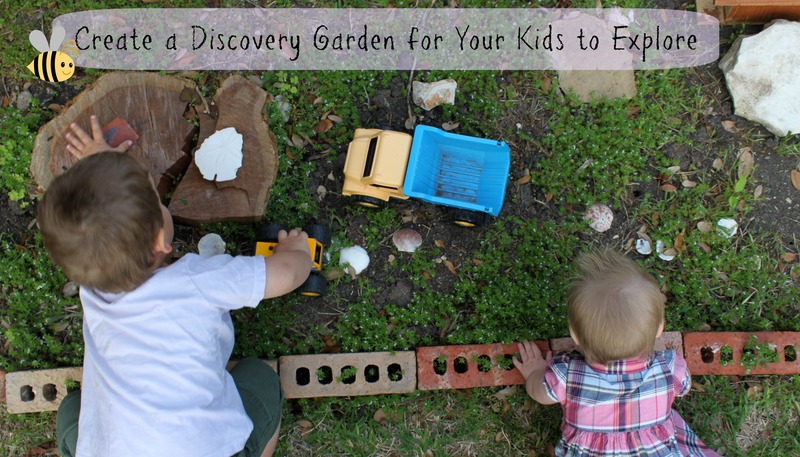 This little discovery garden has become one of our favorite daily play spots and it cost nothing to create and took about ten minutes. 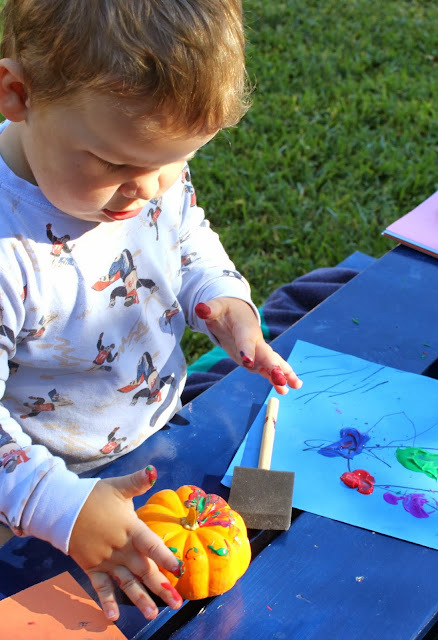 Both kids love it and it gives them a sweet little place all their own that has become a home for all the treasures they find as well as the perfect spot for imaginative play. One of the most important roles we play as parents is as the spiritual guide for our children. 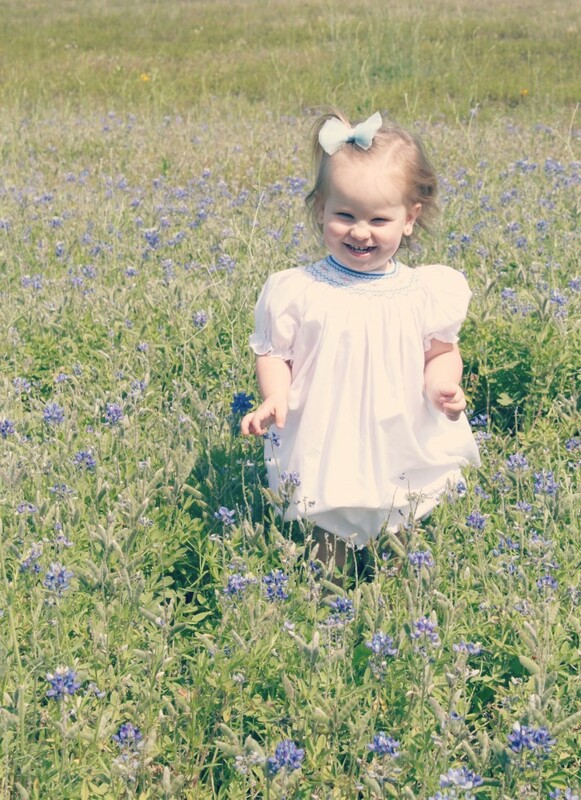 We’ve found a few simple ways to bring our faith in Jesus in to our children’s lives that I’m sharing with y’all today. We are far from having it all figured out and are still learning so much about every aspect of parenting. 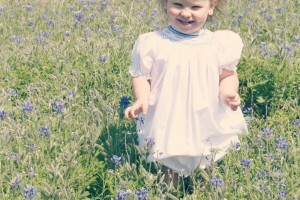 For our children to know Jesus at a young age and grow up with a strong faith is our constant prayer and highest goal. 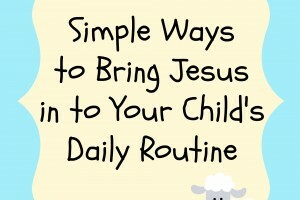 If you are of a similar mindset, here are a few simple ways to bring Jesus in to your child’s daily routine. 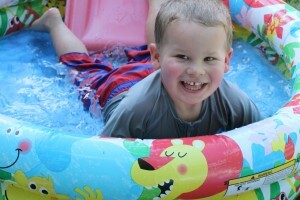 Winter weather combined with high energy toddlers can be a recipe for cabin fever. 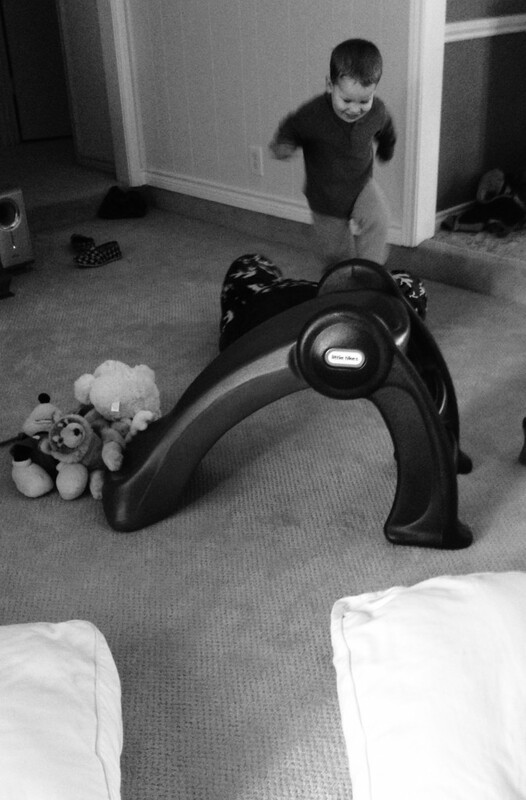 The Bear needs to run, so I make little indoor obstacle courses for him on a daily basis. We run laps around the loop (living room-kitchen-dining room), and climb over pillows and under chairs. The weather outside is indeed frightful, and cabin fever may be setting in among your family members. 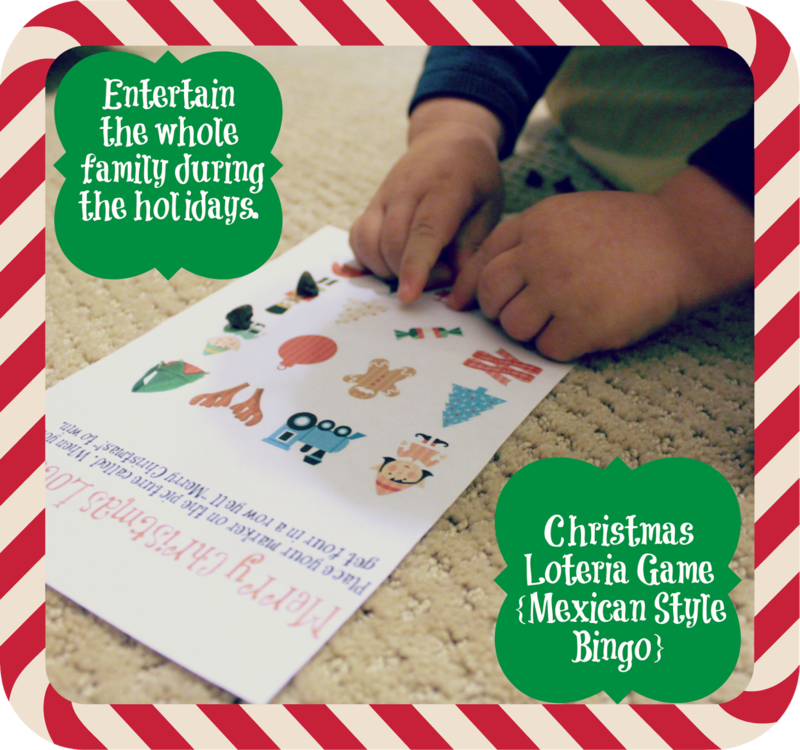 Today I’m sharing my own version of Loteria, the Mexican Bingo style game, perfect for entertaining the whole family. My mom is a Spanish teacher, so she taught me how to play the original Loteria as a kid and I’m starting a new tradition this year with my family. If you’ve never played Loteria before, the game is incredibly easy to learn and can be played by anyone ages 2 and up, and even younger with help. 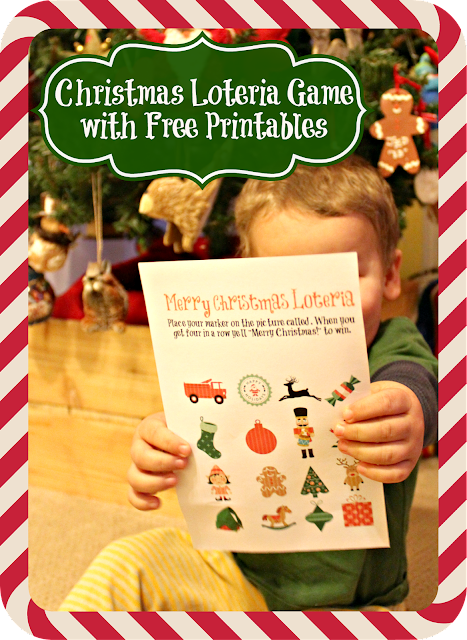 Toddlers and adults alike can get in to it and it would be a great game night tradition to start during the holidays. I’ve created a set of twelve cards for you to print free of charge, as well as a call sheet. 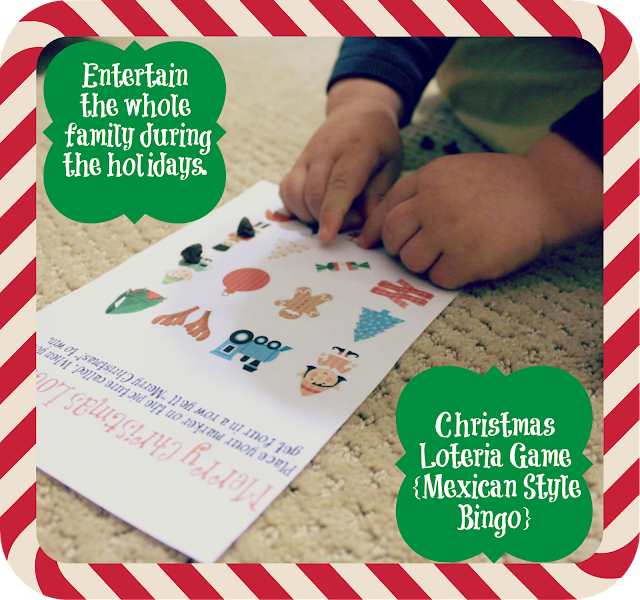 This game is perfect for family night, long days during school break, and to teach matching skills with preschoolers. Everybody loves bingo! 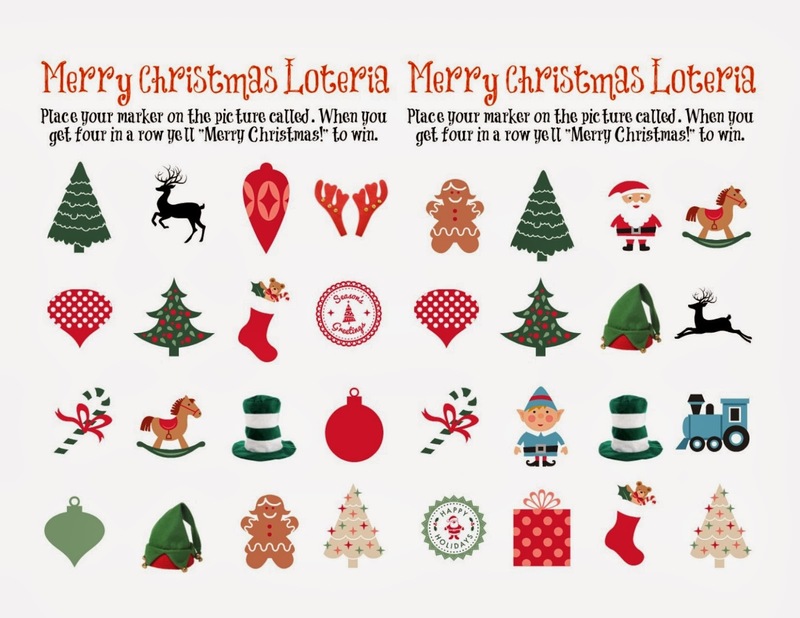 Everyone gets a Loteria sheet and a handful of beans or candy to mark the objects called. 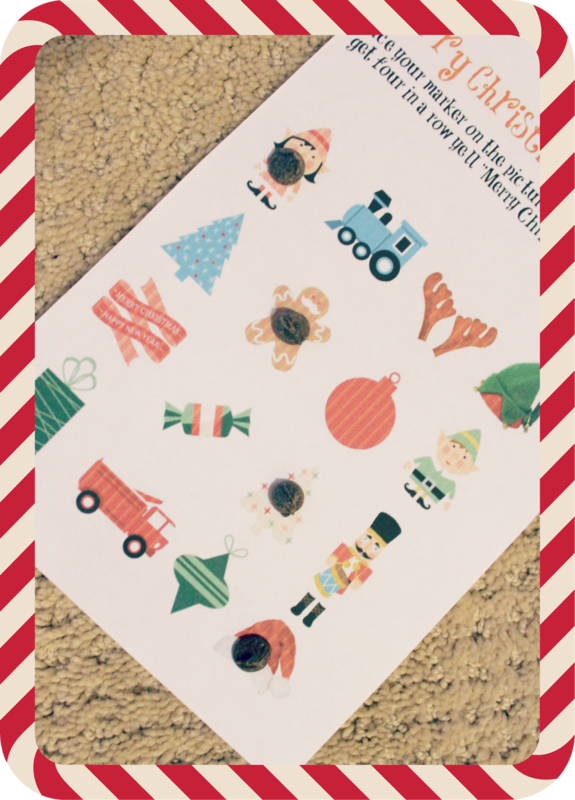 As the caller shouts out the object drawn, the player placed their bean on top of the matching picture on their card. 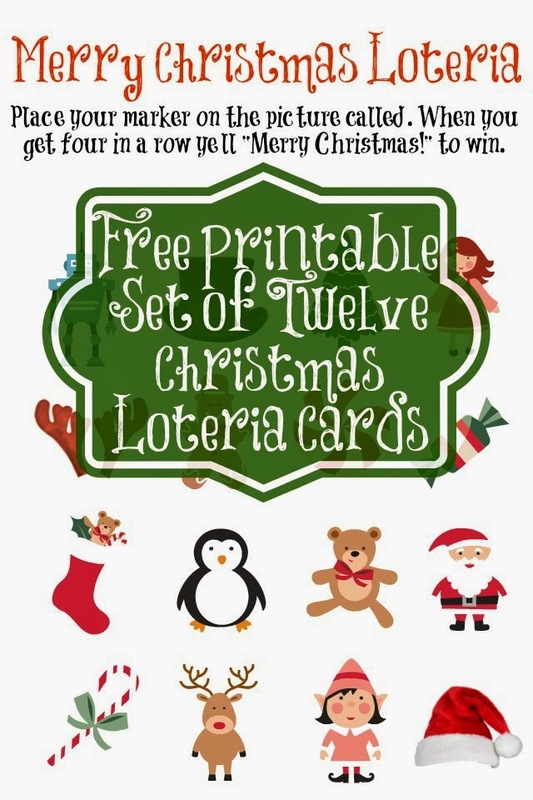 The goal is to get four in a row in any direction, much like Bingo. You can also play cover all, four corners, and 4 square to mix it up. Beans are traditionally used, but I like to use little candies like chocolate chips or M-n-Ms, and eat them at the end of the game. 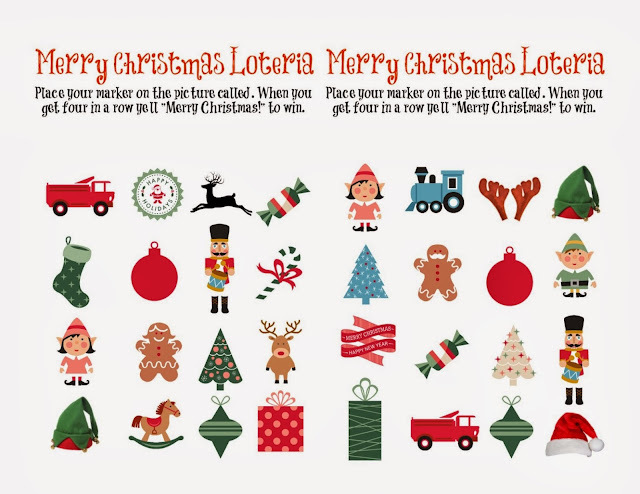 You could have a big game with prizes for the whole family or use it as a teaching tool with your preschooler. Click the link below each image to head to the file in Google Drive. 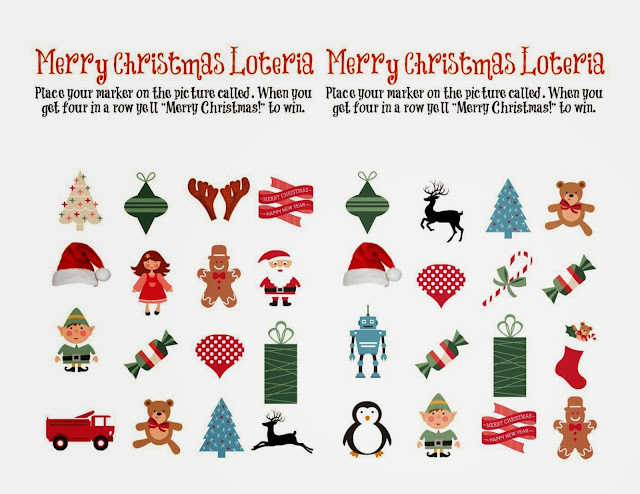 Each image contains two playing cards. Print each sheet and cut in half to create two cards. You can leave the call sheet whole and just call objects out at random (marking them with a bean after they’ve been called), or cut it in to pieces and draw each object out of a bowl. When a player gets four in a row they yell, “Merry Christmas!” and win that round. 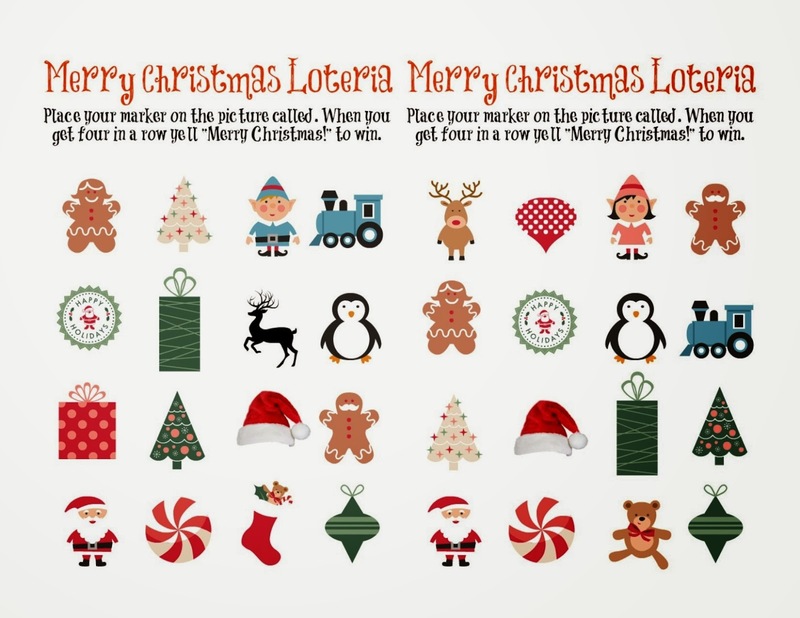 I hope your family enjoys this fun little game and starts a new holiday tradition. Click here to open and print page 1. Click here to open and print page 2. 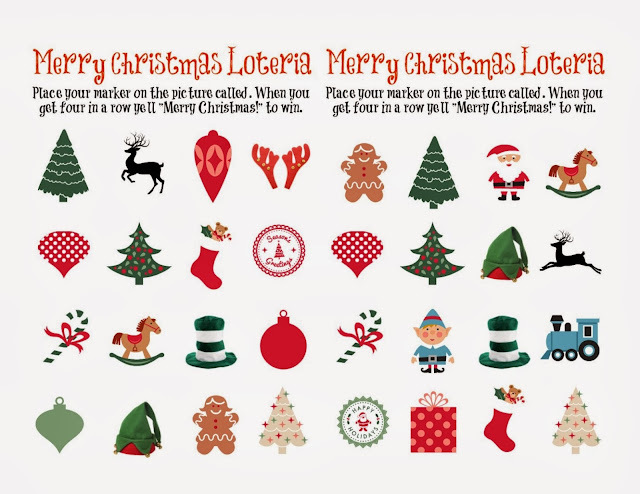 Click here to open and print page 3. 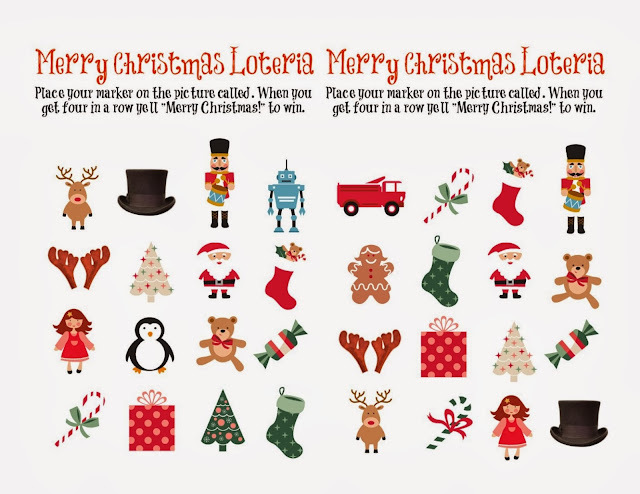 Click here to open and print page 4. Click here to open and print page 5. Click here to open and print page 6. Click here to open and print the call sheet. 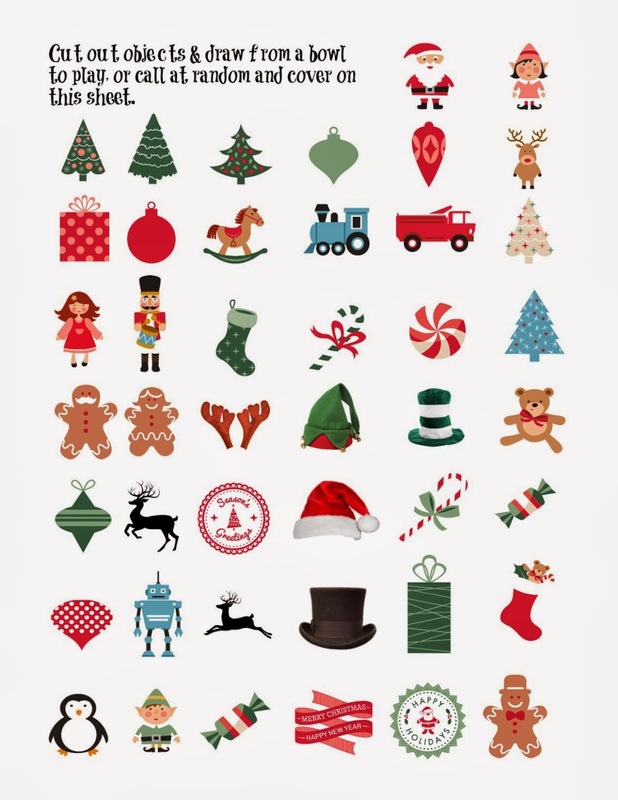 How do you keep your family entertained during the holiday season? 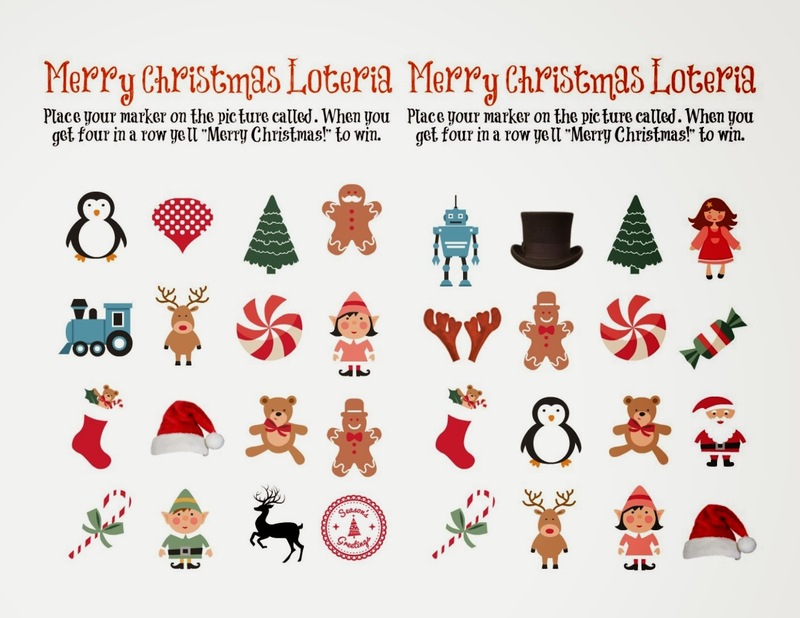 If you like this post, please share it with your friends on Pinterest or Facebook. My free printables are for personal use only. 1) Go outside and set up a little station cleared of anything that might get ruined. 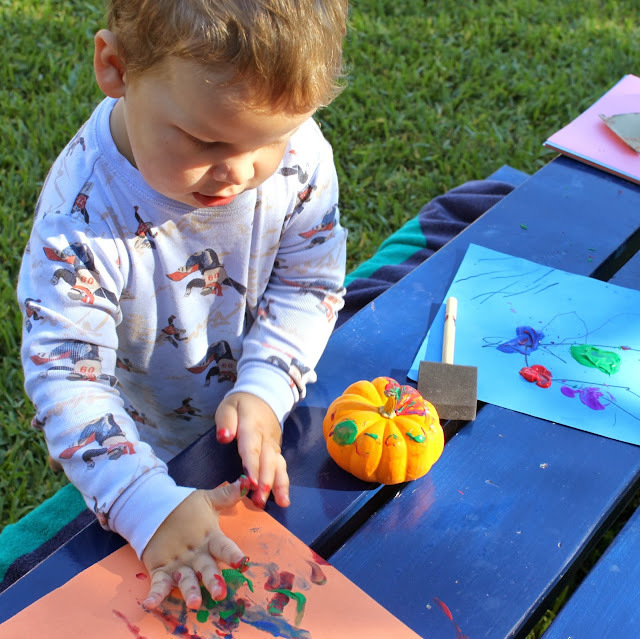 2) Put a blob of each color of washable paint on a piece of construction paper. 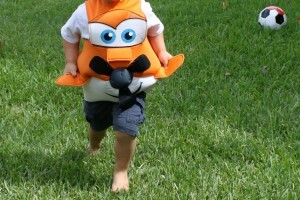 3) Show your child what to do, and then let them go for it. 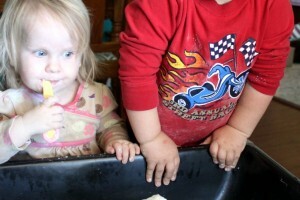 If they don’t like the sensation of paint on their hands, foam brushes work well. 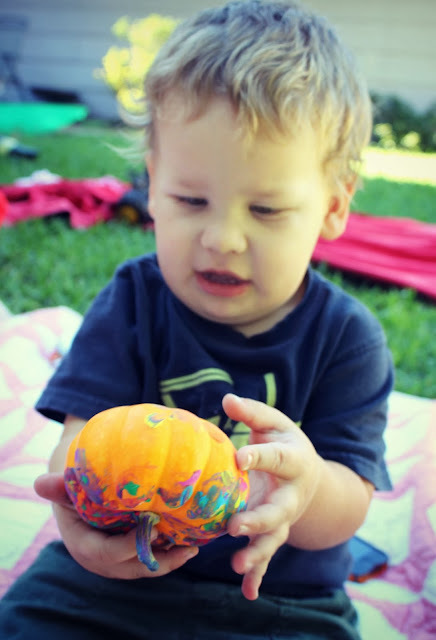 4) You can use painter’s tape to tape off designs on larger pumpkins, or leave well enough alone and drink your coffee. 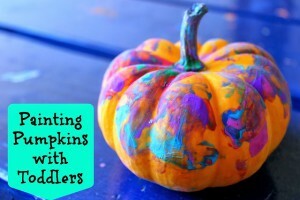 5) Leave your pumpkin out to dry for several hours. Throw away your paint paper, or save it for this project. Wash down your station with a wet rag and wash your child’s hands. You’re done! Don’t you feel festive? The Bear is so proud of his masterpieces. We actually did this on two different days and it kept him entertained for quite a while. Fine motor skill building is the best entertainment. Have you decorated pumpkins with your wee ones? What techniques do you use?